In most markets, the smaller businesses are the most vulnerable. Coffee is no exception to this. Fairtrade calculates that 80% of the world’s coffee is produced by 25 million small farmers – and they’re all susceptible to economic hardships caused by fluctuations in the global coffee price (known as the C-Price). The C-Price is determined by worldwide supply and demand, but it’s also influenced by the predicted price of future coffee-based financial derivatives. In short, it’s pretty complex. So how does it affect small farmers? And what’s the role of specialty coffee in this? The C-Price is typically the base for price negotiations with farmers. 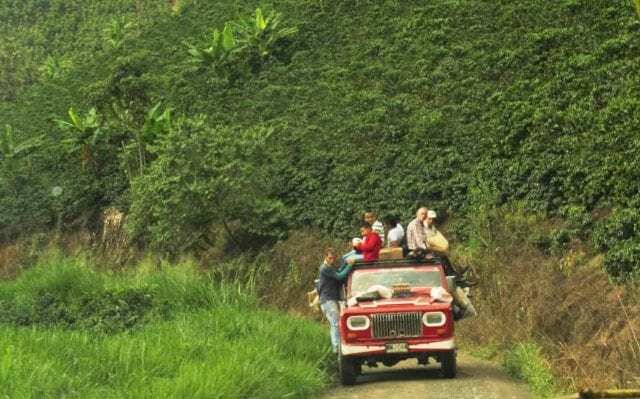 Here in Colombia, the FNC (National Coffee Growers’ Federation) purchases all coffee offered to it at a daily rate based on the C-Price. Most other buyers offer prices at a certain amount or percentage above the FNC’s price for parchment coffee. Right now you’re probably thinking that this sounds fair – what’s the problem? Well, a farmer’s production costs have nothing to do with C-Price fluctuations, and producers normally have thin profit margins for their crops. So when the C-Price dips, even a rate that’s a significant percentage premium above it could still put a farmer in the red. Small farmers are even more vulnerable for a number of reasons. First of all, they can easily be affected by currency exchange rates, since the C-Price is in USD. What’s more, they’re not able to hedge like the rest of the supply chain actors, with their scale, financial muscle, and understanding of the subject, can. The ICE puts a coffee future contract at 17,000 kilos (37,500 pounds) of green coffee – much more than most small farmers’ yearly production amounts to. In almost all cases, it’s out of financial reach. Furthermore, price uncertainty makes it very difficult for small farmers to invest in the farm infrastructure that would improve their crop quality and output. A mechanism that allowed small non-specialty farmers to hedge against world market fluctuations could be immensely beneficial to them – but unfortunately doesn’t exist. The specialty coffee market muddies the water even more. In economics, a market in which the prices are always “fair” or “correct”, because all information about a product or a share is made available, is referred to as an efficient market. This is by nature a market in which global prices fluctuate based on supply and demand. Specialty is not uniform, it is not interchangeable, and it is not a basic good. Prized for its sensory characteristics, and accounting for what the International Trade Centre estimates to be 10% of world production, it’s very different from any class of commodity-grade coffee. And so it cannot be properly categorized and traded: it’s just too non-uniform. 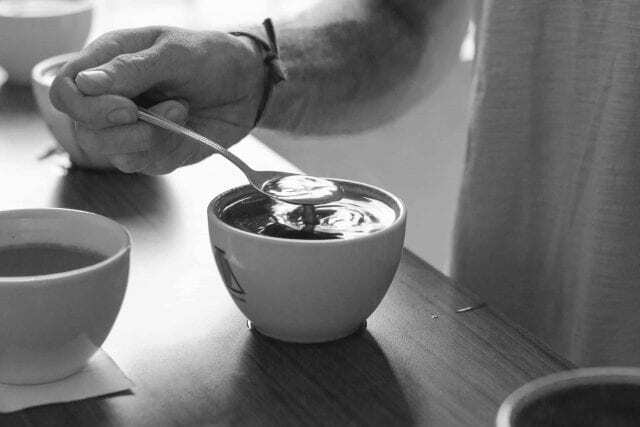 Furthermore, as of now, there is no totally objective method to quantify the sensory attributes of cup quality, and therefore it is difficult to enforce supply contracts based on them. This harms farmers, and it also harms specialty: the price differentials, based on physical quality and country of origin, do not go far enough to incentivize the production of specialty-grade coffee – even though, when sold to specialty roasters, it can command premiums many times higher than the differentials established by commodities trading houses. Who Needs an Efficient Market? We’ve looked into the risks of selling in an efficient market, and also the risks of selling in one that’s not efficient, like specialty. And in doing so we’ve reached the conclusion that selling into an efficient market unhedged requires farmers to endure fluctuating prices. However, the absence of an efficient market means possibly not being able to sell at all. So is there a best solution? Independent price negotiations, based on the buyer’s perception of the product’s unique attributes, can mean higher and more consistent prices for a high-quality product. However, it requires consistent access to those buyers. For farmers willing to assume the responsibility for selling their own product, abandoning traditional channels tied to the commodity market could be a more stable and favorable way to sell their product. If the farmer’s costs do not depend on the C-Price, and specialty roasters (usually) do not purchase green coffee based on the C-Price, why does a farmer’s income need to be based on it? Wouldn’t it make more sense to start at the price that the consumer is willing to pay for the finished product and work backward all the way down the supply chain to the farmer? 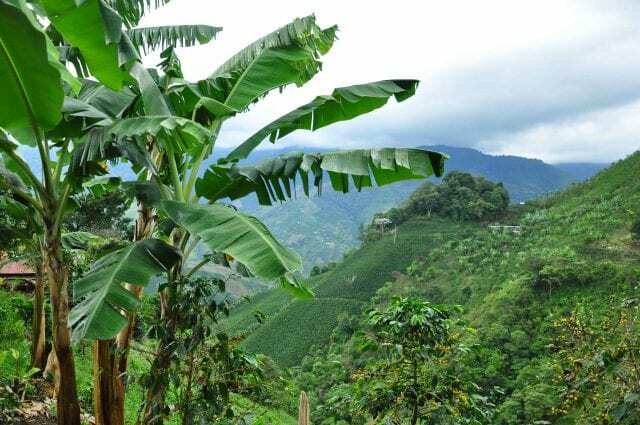 Under a mediated direct trade supply chain structure, this is a real possibility that is gaining traction in several coffee-producing countries. It’s also a decision that each farmer should have the opportunity to make for him or herself. I’ve had the chance to speak to about 250 farmers about the global commodities market and how it affects their livelihoods. I like to think that they are better off with an understanding of the basic foundation of this economic system. The more information they have about the forces that dictate their livelihood, the more empowered they are to make decisions that benefit them and their families. As an industry, it is also our responsibility to understand the economics of the international coffee trade, which is much more complex than that of products like mangos. We need to strive for stability and fairness for all parties involved, especially small farmers. Because without the farmers, there would be no coffee. Written by K. Wienhold, Founder of Direct Origin Trading and edited by T. Newton.